SIP Trunk is responsible for enabling the end point’s Phone Exchange System to make and receive calls through the internet. It can also control voice, video and messaging applications. SIP.US is one of the preeminent SIP Trunk Providers, ensuring the satisfaction of their customers. After availing the services of SIP.US, you can use the directory assistance services, send and receive local as well as long distance calls, have access to both landline and mobile numbers, make 911 emergency calls and utilize the Internet for email and texting. You do not need to have both data and telephone networks. The IP-based network offers you multiple digital streaming capabilities. This also eradicates the need for modifying physical infrastructure for additional users. SIP.US has become the Best SIP Trunk Provider because of its cost-effective services. When you use Telephone Number Mapping for finding your known SIP addresses, you will be able to complete more calls via the Internet, eliminating the need for PSTN. The long distance calls are rendered inexpensive by SIP trunking. 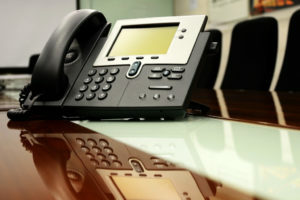 After your PSTN connection is outsourced to a SIP trunking third party, you can save a lot of money because SIP calls use the Internet or the third party’s IP network up to the provider’s termination point. The call is then transferred to a local PSTN. This implies that the international calls are also carried up to a point close to the dialed number. The increments of the bandwidth are cost-effective. The SIP trunk connects directly to the Internet telephony service provider, eliminating the need for BRI and PRI lines. The services of SIP.US offer you an instant return on investment and savings. SIP adapts to the expansion of the organization across multiple geographical locations. SIP trunking also consolidates the voice and data into a single network, thus reducing your overall expenditure. If you have considered the installation of a SIP trunk, then SIP.US is the most reliable SIP service provider for you.